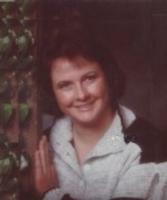 Marsha Ann Boslworth McGinty, 50, died December 25, 2001 at her home in Idaho Falls, Idaho. She was born May 14, 1951 at Preston, Idaho, to Clifford William Bosworth and Evalyn Kirby Bosworth. Her family moved to Idaho Falls when she was 3 weeks old and she attended schools there, graduating from Idaho Falls High School. She then moved to Seattle, Washington, for 2 years. She returned to Idaho Falls in 1979 where she has since resided. She married Edwin McGinty in 1971 in Idaho Falls. They were later divorced. She worked as a computer operator in local offices for several years and taught computer classes. She was self-employed for 20 years. She enjoyed collecting antiques, fishing, camping and especially spending time with her grandson, Kavan Blake McGinty, who was very special to her. Survivors include her son, Christopher J. (Ashley) McGinty, Nampa, Idaho; grandson, Kavan Blake McGinty, Nampa, Idaho; brother, Max (Cindy) Bosworth, Idaho Falls, Idaho; brother, Lee (Myrna) Taylor, Little Rock, Arkansas; brother, Blair (Sun Yung) Taylor, Longmont, Colorado; sister, Joan (Rodger) Overson, Federal Way, Washington. She was preceded in death by her parents.